Who'll be ponying up the cash for www.po.ny? The Internet Corporation for Assigned Names and Numbers (ICANN) is set to vote on a motion that would allow generic top name domains to be opened up to a mass of alternatives. ICANN is a not-for-profit organisation that looks after the internet's naming conventions. As most readers will know, the letters of top domain names denote the country or origin of type, and these are currently limited to letters such as .org, .com or .co.uk. They are also closely controlled, with countries such as Tuvala selling their .tv assigned addresses for colossal sums to businesses such as the UK broadcaster, Five. However, ICANN will soon be voting on whether it will open up these top level domains to allow thousands of alternatives, with companies able to use their names as top level domains (such as .ebay, or .msn), cities such as Berlin and New York to have .berlin or .ny and the likes of .bank and .tech to also become available. "We're talking about introducing potentially thousands more names," Paul Levins, executive officer of Icann, told the International Herald Tribune. "The addressing system hasn't fundamentally changed since its invention. 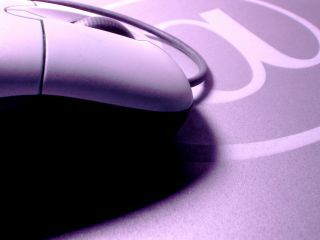 These changes have the potential to have a huge impact on the way we express ourselves on the net."